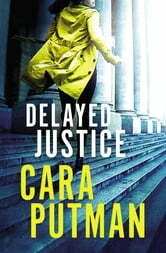 I just finished reading Delayed Justice. Its book 3 in a series. It can be read as a stand alone. I read book 2 and had the local bookstore order Delayed Justice. Normally I don't read books dealing with abuse since I've had friends that were abused as children and teens. Its something I have a hard time dealing with - how anyone can do such horrible things to children and the innocent. Cara Putnam tells the story with truth, grace and shows the realistic horrors these innocents deal with. If you can read this series and not be touched then you are stronger than I am. Jaime can't understand how God can let things like this happen to children but she learns that God is with us in the most horrific times as well as the good times. We may not realize it at the time but if (great big IF) we let Him he will use it to grow stronger in our faith and even to help others. I bought this book through my local indy. bookstore and no one asked me to leave a review. All opinions are my own and I can honestly say this book touched me in ways I didn't expect. There are some very heartwarming moments and some that will break you heart. Either way, this is one of the best books I've read on child abuse and I highly recommend it. Looking for the next installment in this series. If you have ever been abused then my prayers are with you for God's love, mercy and comfort. Third book in Hidden Justice series! 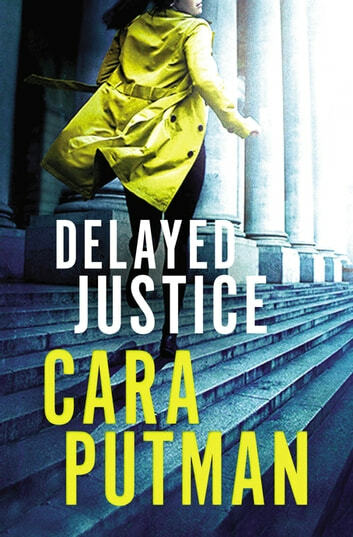 Delayed Justice by Cara Putman is the third book in the Hidden Justice Series. Jaime Nichols is a public defender in Virginia. It has been twenty years since her uncle, Dane Nichols abused her, and Jamie has decided it is the time to press charges against him. The next day it is announced that Dane is up for a promotion to a one star general and Dane is not going to let Jaime ruin his career. Dane is a powerful man with considerable influence. Jaime will have to be strong to battle this formidable foe, so she can put the past to rest. Chandler Bolton is a veteran who now works for the Department of Veteran Affairs helping veterans reacclimate to society. Chandler has also had his dog, Aslan trained as a comfort dog to help abused children. Tiffany Ange has been assaulted by her mother’s boyfriend and Aslan is just the help Tiffany needs to help tell her story to the police. Chandler encounters Jaime in his apartment building one day and he is intrigued. The two of them end up working together to help Tiffany testify against her abuser and recover from her horrible ordeal. Can Chandler break through the wall Jaime has built around her heart? Will Jaime be able to have a relationship after what she has experienced? How will the case against Dane turn out? Discover what happens in Delayed Justice. The author did her research for Delayed Justice. She captured the legal aspects of the judicial system and I like that we get to experience both sides (prosecution and defense). It was interesting to learn about therapy/comfort dogs and how they assist victims. I found the court scenes to be realistic along with the situations with Tiffany and her mother. Jaime is a wounded woman who has not gotten over what happened to her when she was eight years old. She believes in the justice system and wants to help those who cannot afford a lawyer. Jaime has been in therapy for years and feels she is now strong enough to handle the court battle. She has the support of good friends from college who understand and are a part of the legal system. The author did a remarkable job at handling a delicate and difficult subject. Chandler is a strong male character who is the hero of the story. He comes across as a knight in shining armor protecting little Tiffany and Jaime. I appreciated his Christian values and how he expressed them to Jaime. Her journey towards Christ did not seem realistic. It felt contrived and rushed. The pace of Delayed Justice was slow which can be attributed to the detailed writing. I recommend reading the Hidden Justice Series in order. I had not read the previous two books and I felt like I was plopped into the middle of a book when I started reading Delayed Justice. The book begins to make sense as I get further into it. Jaime has complaints issued against her per her boss, but readers were not given any details (who issued them, what are they regarding). The same thing happens when she receives an ethics violation (I want details). Delayed Justice is a romantic suspense. While I felt the romance, I did not feel the suspense part. I wanted to feel the scare and anxiety. My rating for Delayed Justice is 3 out of 5 stars. Fans of the Hidden Justice Series will not want to miss Delayed Justice to find out how Jaime’s story plays out.